Exciting Events, New Funding Opportunities, and Great Parent Resources! Top News: June 18 Symposium Now Available! 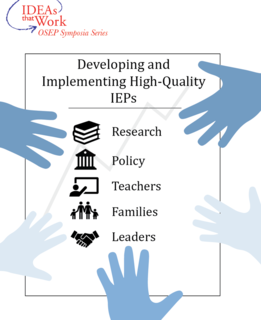 On June 18, OSEP held its second virtual symposium of the year, Increasing Capacity for Developing High-Quality IEPs/IFSPs. The presentation and accompanying resources are now archived and available on the symposium website. This symposium discussed supporting high-quality special education services for children with disabilities by addressing the capacity needs of educators, IEP (individualized education program) teams, and administrators to develop and implement quality IEPs. Bookmark the symposium website to stay tuned for details about our next virtual symposium. I'm so excited to see many of you at the upcoming Project Directors' Conference on July 23–25 in Arlington, Virginia! We have some very interesting and timely sessions planned. Registration is open through June 29, so be sure to visit the conference website for more information today! I also wanted to highlight some events that occurred recently, including a convening of the National Collaborative on Inclusive Principal Leadership. The meeting was held May 30–31 here in Washington, D.C., and was an excellent opportunity to engage with the stakeholders and leaders involved in promoting and realizing inclusive principal leadership to improve outcomes for students with disabilities across the country. Check out the collaborative's website for more information and resources. Finally, I wanted to discuss the important work of the President's Federal Commission on School Safety. U.S. Department of Education (ED) Secretary Betsy DeVos heads the commission, and recently participated in an event highlighting positive behavioral interventions and supports (PBIS). DeVos and members of the commission visited a school in Anne Arundel County, Maryland and heard from state and local leaders on how the district is implementing PBIS. Experts also shared information about resources and information available through the OSEP-funded PBIS Center. This month, we announced a new Notice of Proposed Requirement for State Technical Assistance Projects to Improve Services and Results for Children Who Are Deaf-Blind and National Technical Assistance and Dissemination Center for Children Who Are Deaf-Blind (CFDA No. 84.326T). The comment period for this notice will close on July 11, 2018. OSEP's review of State Performance Plans/Annual Performance Reports (SPP/APRs) and determination process are nearly finished! Responses and determinations for Individuals with Disabilities Education Act (IDEA) Part C were issued on June 26, and will be issued for Part B on June 28. State applications for federal fiscal year 2018 (FFY 18) grant awards are currently under review. Funds will be available for obligation on July 1. Throughout June we conducted a comprehensive review and analysis of states’ Phase III, Year 2 State Systemic Improvement Plans (SSIPs). OSEP state leads will be available upon request in late July and throughout August to provide SSIP feedback to states. During our monthly national technical assistance (TA) call on June 21, OSEP provided an overview of the SPP/APR review process and walked states through the responses on our GRADS360 website, including the documents that will be attached to each state’s response. OSEP will hold a national TA call in the near future to walk states through pending improvements to our Differentiated Monitoring and Support process for FFY 18. Please stay tuned for more information. The DaSy Center (Center for IDEA Early Childhood Data Systems) has released an interactive new resource, the Data Governance and Management Toolkit. The toolkit contains information and resources to assist IDEA Part C and IDEA Part B, Section 619 (preschool) program staff with creating or enhancing their data governance policies and procedures. Each topic area within the toolkit provides an overview, consideration questions, and a corresponding fillable template to guide teams that are starting to work on the topic. The toolkit was recently updated to include three new topic areas: Data Requests; Electronic Communications; and Governance of Data Partnerships. OSEP's network of early childhood TA centers is offering a variety of new opportunities to build individual and state capacity around the implementation of IDEA for young children, with or at-risk for disabilities, from birth through age 5. This handy list can help states consider which TA opportunities best fit individual state needs and priorities. 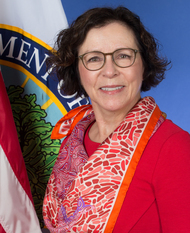 A June 28 webinar from the U.S. Department of Health and Human Services' Substance Abuse and Mental Health Services Administration’s (SAMHSA's) Center of Excellence for Infant and Early Childhood Mental Health Consultation (IECMHC) discussed the resources IECMHC has available to help professionals who conduct home visits and others who work with infants and young children to support families affected by substance use disorders. The webinar will soon be archived here, on the IECMHC website. More details about the webinar can be found here. 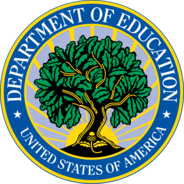 OSEP recently released two funding opportunities to train and prepare personnel in early intervention, special education, and related services: 1) Preparation of Special Education, Early Intervention, and Related Services Leadership Personnel (CFDA No. 84.325D) funds doctoral degree preparation; and 2) Interdisciplinary Preparation in Special Education, Early Intervention, and Related Services for Personnel Serving Children with Disabilities who have High-Intensity Needs (CFDA No.84.325K) funds master’s degree, educational specialist degree, or clinical doctoral degree preparation. We also released a funding opportunity to support an educational technology center that would meet requirements outlined in this notice: Center on Early Science, Technology, Engineering, and Math Learning for Young Children With Disabilities (CFDA No. 84.327G). The application deadline for each of these three competitions is July 30, 2018. We are pleased to announce the launch of ED's Comprehensive Center Network (CC Network) website. The site compiles more than 700 resources developed by 23 regional and content-focused centers, and more than 200 projects currently underway in states across the country. The site makes it easy to search by state, region, or topic. Through the CC Network website, anyone can learn about and access resources from hundreds of efforts to improve outcomes for our nation's students. Our readers will note that the projects and centers have many activities related to special education and individuals with disabilities, as well as resources specific to these topic areas. 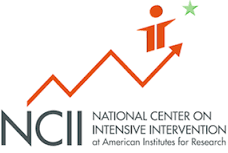 The National Center on Intensive Intervention (NCII) has recently released the resources listed below. Families and intensive intervention: NCII worked with leaders from several parent training and information centers across the country to develop a set of resources for parents and families. These include information and infographics related to intensive intervention, questions parents can ask as their family goes through such an intervention, and tips for families supporting children receiving intensive intervention. New learning module: This interactive learning module provides an introduction to intensive intervention for those interested in how to provide supports for students with intensive behavioral or academic needs. Webinars on improving writing outcomes: Check out these two new webinars! Writing Better: How Can Teachers Use Data to Individualize Instruction in Writing discusses how to individualize instruction for students with intensive needs in writing. Writing Better: What Teachers Can Do Today to Enhance Their Student’s Writing shares an evidence-based framework for writing instruction and tips and techniques that teachers can use to assist students. ED's Institute of Education Sciences (IES) has released The Condition of Education 2018 report. It includes key indicators on the condition of education in the U.S., from pre-K through postsecondary levels, as well as labor force outcomes and international comparisons. The indicators summarize important developments and trends using the latest statistics, which are updated throughout the year as new data become available. In addition, this website highlights indicators that provide more in-depth analyses on selected topics. On July 31 in Washington, D.C., the Accountability and Support for English Learners (EL) Peer Convening will train states on using data to monitor and validate EL-related components of their school-level accountability systems. On Aug. 1–2 in Washington, D.C., the State Assessment Peer Review Seminar will focus on ED's resources for state assessment peer review, especially for English language proficiency assessments. Additionally, OSS' State Support Network (SSN) has released a new resource, the Needs Assessment Guidebook. Earlier this month, SSN hosted a webinar on the guidebook and other related resources to assist states in completing needs assessment requirements under the Every Student Succeeds Act. The webinar is now archived on the guidebook website. This month, we invite you to read the hopeful and helpful story of Rene Averitt-Sanzone's family and their experiences with hearing impairment. 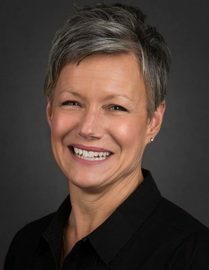 Averitt-Sanzone is the executive director of The Parents' Place of Maryland, an OSEP-funded parent training and information center. In her post on the Office of Special Education and Rehabilitative Services Blog, she shares the ups and downs of her family's journey: discovering, screening for, and coming to terms with hearing impairment; and advocating for and watching the incredible successes of her remarkable daughters.